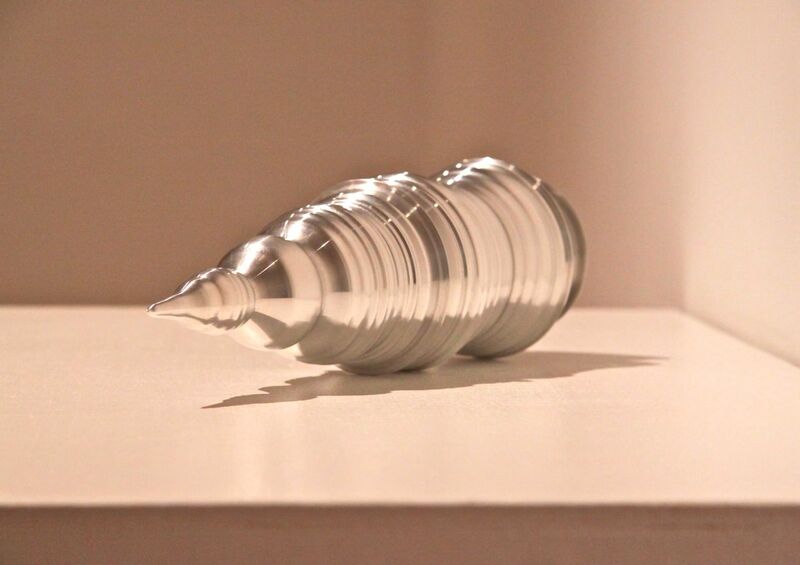 Aluminum Drop is another translation-based artwork; however, its origins are self-reflexive in nature. The methodologies behind the making of this artwork involved dropping a piece of 4” x 12” 6061 aluminum rod on my studio floor. An audio-recording of that ‘drop’ was done, imported into a sound application, allowing for the sonic waveform to be determined. That waveform was later turned (with help from a CNC lathe) into the very same material it came from. The work recalls methodologies utilized by Robert Morris in his artwork from 1961, ‘Box With the Sound of its Own Making’. This early process-based artwork was key in the formation of a movement of art-making wherein procedural tasks were given similar weight in relation to finished objects.